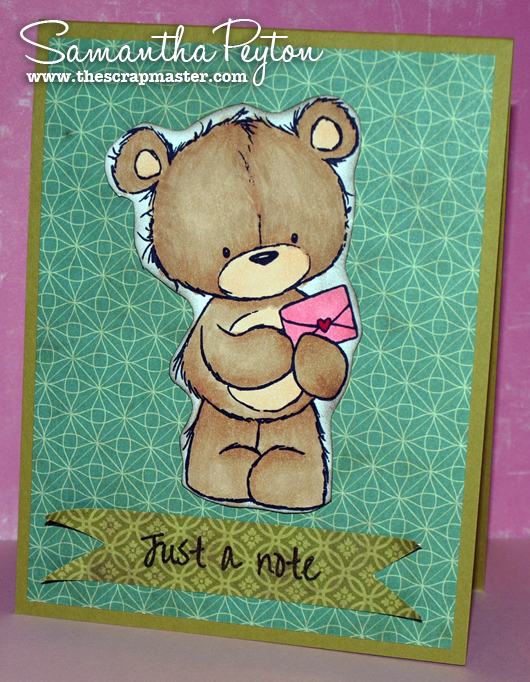 The adorable little bear is from Wild Rose Studio and is called Milton with Card. I colored in the image with the following Copic colors: E31, E33, E51, RV23, and RV29. Like I talked about in this week's Tuesday Tips and Tricks, you don't have to have a bunch of colors to attain great coloring results. I only used 5 colors on this little guy. That is all I have for you all today! Make sure you play along with this week's iCopic challenge because we are giving away a Copic carrying case!!! How cool is that? !